Dr. Watford received a Doctorate in Psychology from the University of California, Irvine and a Bachelor’s degree from Cornell University in Ithaca, New York. She has been a licensed psychologist since 1977 and has been in private practice in Mission Viejo, California since 1979. Dr. Watford has worked with children, adolescents and adults in both inpatient and outpatient settings. She completed an internship with the Orange County Department of Mental Health and received postdoctoral training at the Long Beach NeuroPsychiatric Hospital. She was a staff psychologist at Integrated Personality Resources, a nonprofit community clinic in Santa Ana, and supervised interns at another nonprofit clinic. 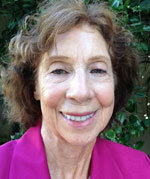 Dr. Watford has been an instructor at Rancho Santiago Community College where she taught classes in Human Development. In addition, she has been a consultant for the Orange County Department of Social Services where she provided training to newly licensed foster parents. Dr. Watford established the first postpartum support group in Orange County in association with Mission Hospital and was a co- leader of the group for over ten years. Dr. Watford is a member of the American Psychological Association, the California Psychological Association, and the Orange County Psychological Association.